Clone Trooper. found this one several years ago, can't remember where. HD Wallpaper and background images in the ster Wars: Clone Wars club tagged: clone wars cool. This ster Wars: Clone Wars wallpaper might contain borstplaat, auspiciën, egis, aegis, schoudervulling, and schouderriem met vulling. This one is cool because of his big rifle. 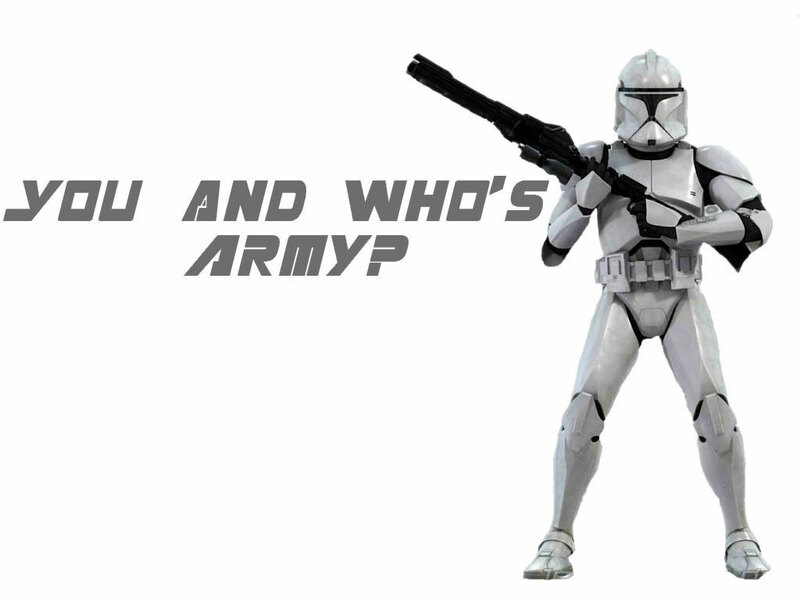 Look out Clankers!